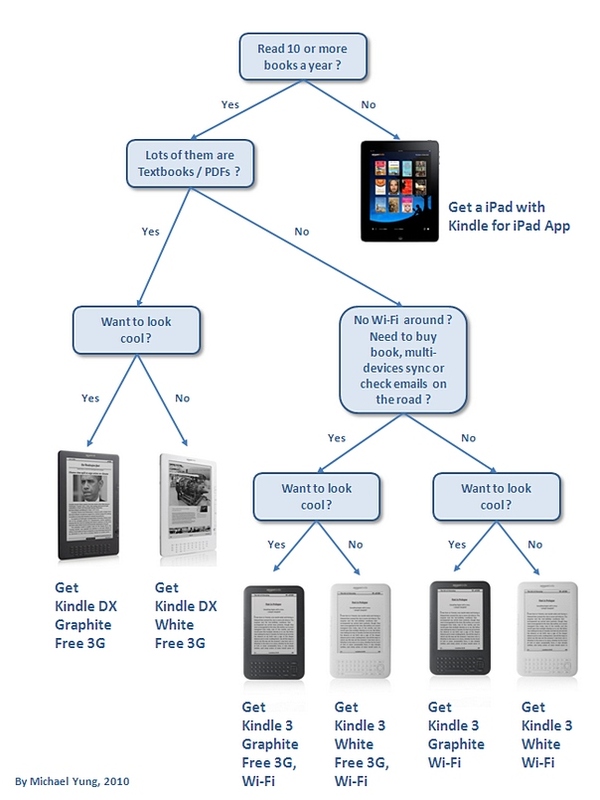 Which Kindle to buy ? There are 6 models of Kindle you can buy now from Amazon.com, the Kindle DX (with white or graphite colors, in different prices), the Kindle with Free 3G + Wi-Fi, and the Kindle with Wi-Fi only (both with white or graphite colors). Each of these Kindles is good device to read, but which Kindle shall you buy ? To answer this question, I draw up the following flowchart and hope you will find it useful. Don’t miss all the other Kindle blog posts ! !